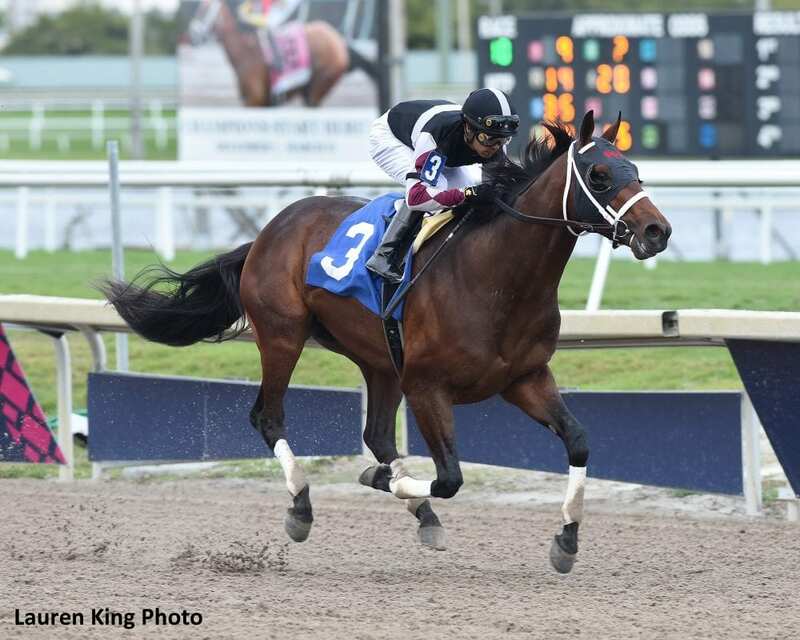 Trained by Stanley Hough and ridden by leading jockey Luis Saez, Global Campaign's victory Saturday's followed an equally impressive winning debut here Jan. 5 at seven furlongs. In other races featuring 3-year-olds, Mathis Stable LLC's 3-year-old colt Last Judgement, a $300,000 son of Congrats, broke his maiden at second asking. After being a bit difficult to load, the Todd Pletcher-trained colt won by a length going six furlongs in 1:10.13 under jockey John Velazquez. Pletcher and Velazquez were back in the winner's circle some 60 minutes later with Cheyenne Stables LLC's Angelia. The daughter of Curlin, stretching out around two turns for the first time, won at 1 1/16 miles in 1:46.95. It was Angelia's fourth start. Juddmonte Farm's homebred Clause ran down Can't Buy Me Love down the stretch to break her maiden at first asking. Trained by Chad Brown and ridden by Irad Ortiz Jr., Clause, a 3-year-old daughter of Speightstown, covered a firm mile course in 1:34.86. This entry was posted in Triple Crown and tagged angelia, can't buy me love, Curlin, global campaign, Gulfstream, last judgement, Luis Saez, sagamore farm, standard deviation, Stanley Hough, winstar farm by Press Release. Bookmark the permalink.